New York Subway uses the official MTA subway map and includes a helpful transit route planner. 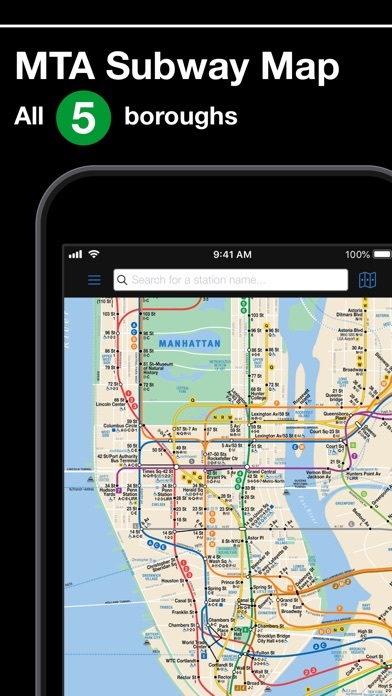 With over 8 million downloads worldwide this NYC subway map is free to download and will help you navigate around New York using the subway system. 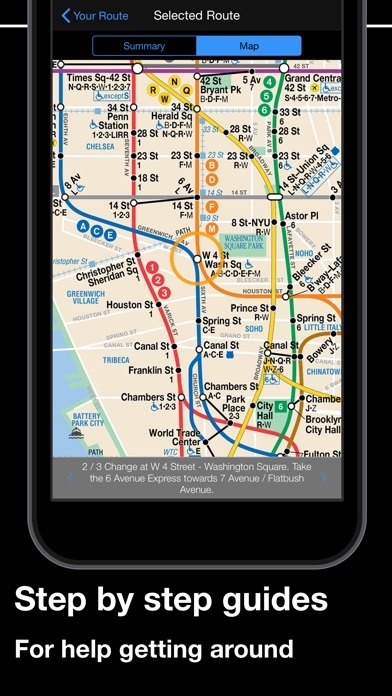 Features: • Official MTA map of the New York Subway. • Including all 5 NYC boroughs - Manhattan, Brooklyn, Queens, Bronx and Staten Island. 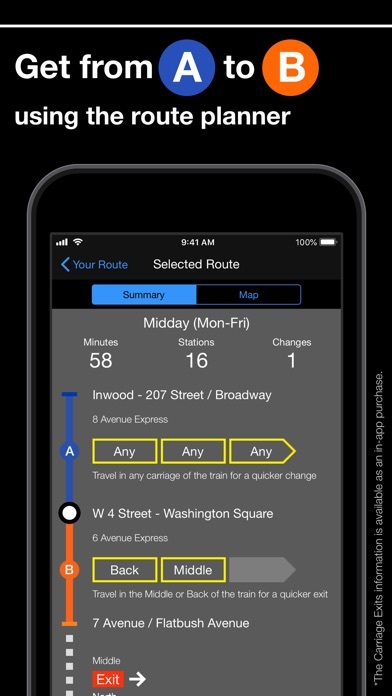 • Easy-to-use transit route planner to get you from A to B on the subway. • Works offline for help even without an internet connection. 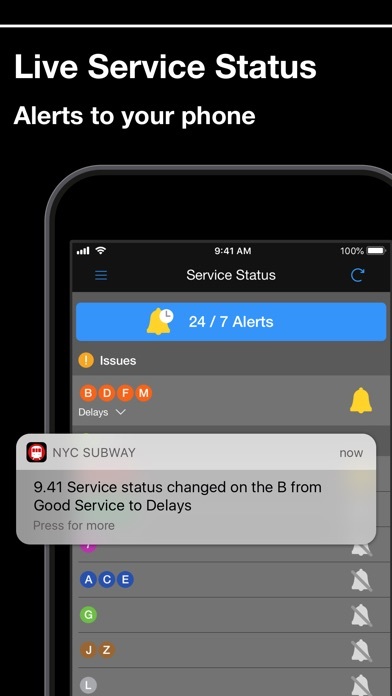 • Service Status from MTA shows live information about delays with alerts sent straight to your phone. • Countdown Clocks for each subway station to check when the next train is due. 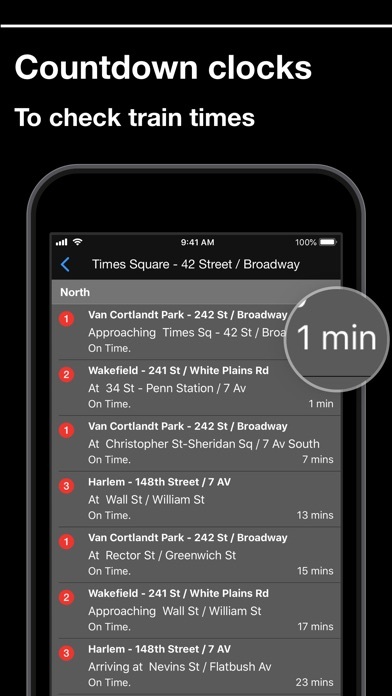 • Search for any subway station on the map or find the nearest station to your location from anywhere in New York. • Plan routes to Points of Interest including Empire State Building, New York Botanical Garden and Times Square. • Favorite your routes for quick access when on the move. • If you're visiting New York City for the first time, there's a handy guide in the app filled with helpful travel tips and information. • E & E Alerts show any out of service elevators and escalators as well as an estimate for when they will return to service. • Live Twitter updates from the official NYCT Subway account with helpful transit information. Mapway make transit apps for cities all around the world with over 40 million downloads. If you’re visiting Washington DC, Boston or London make sure you check out our other apps available to download for free in the App Store. Plan. Route. Relax. *Whilst we endeavor that service status notifications are delivered in a timely manner we can’t guarantee this 100% of the time. There may be occasions when this isn’t available due to technical reasons outside of our control. Please note: Continued use of GPS running in the background can dramatically decrease battery life. Join Mapway Apps on Facebook or follow us on Twitter @MapwayApps. We would love to hear from you!